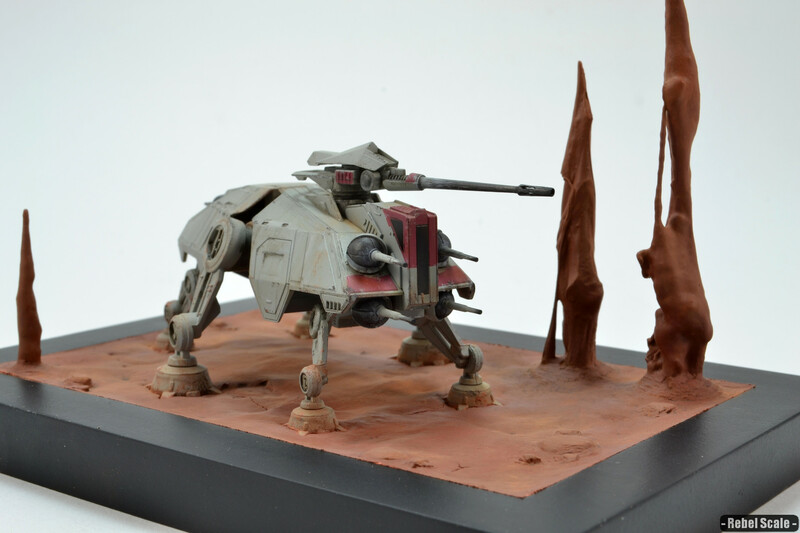 I finished a small, but detailed vignette featuring an AT-TE walker on Geonosis. Check it out here. …a paint-stripper. Well, I didn’t like how the paint had laid on the Shuttle; it was grainy. I’m fairly convinced that the paint was drying as it hit the model. Thus, I need to use a paint retarder of some sort. So, I decided to soak the model in Windex and remove the acrylic layer. However, I found the while the Vallejo paint lifted perfectly, the AK acrylic Primer pretty much stayed on. I used a toothbrush to remove most of it (without damaging the lacquer primer underneath). Now, I’m letting it dry. 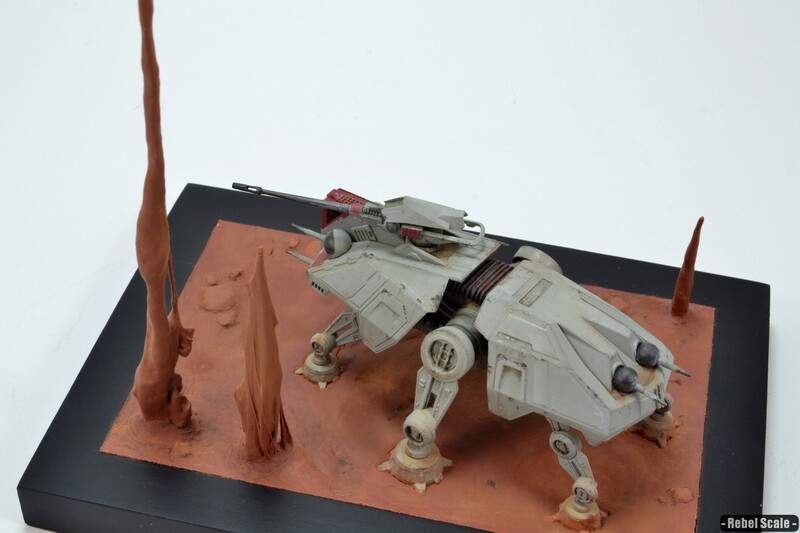 In other news, I bought an F-toys AT-TE, and I am making a small vignette with it. 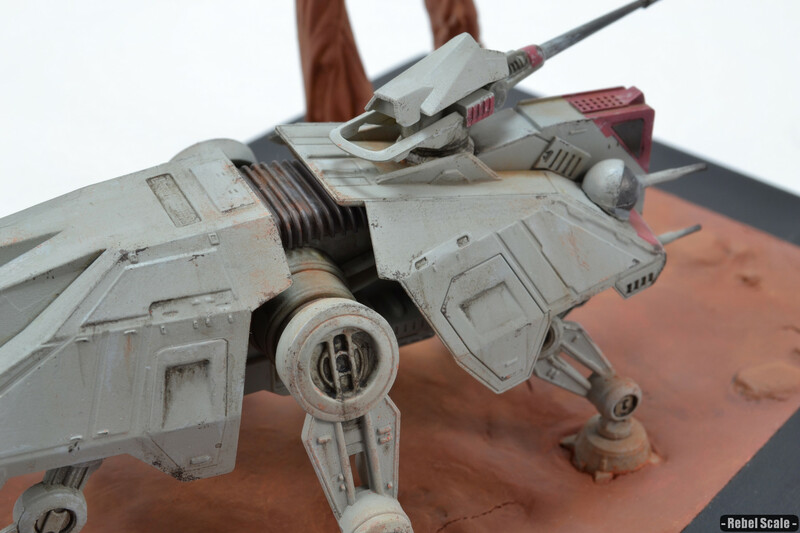 I did some slight weathering on the vehicle. 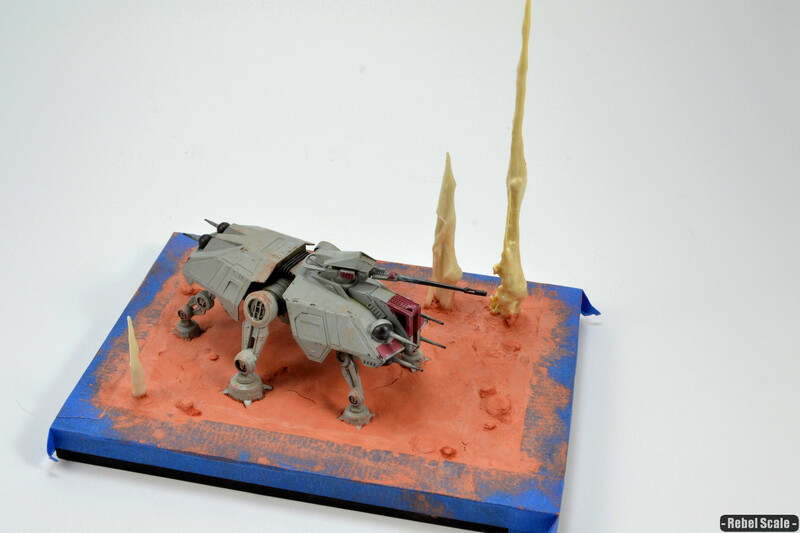 Then, I used a picture frame and some DAS clay to create terrain. I created the spires from 5 minute resin. Basically, I just stirred the resin until it began to set, then lifted the stirrer. If I timed it right, I could create rather unique spire/obelisk shapes reminiscent of Geonosis.